In Eastern Contra Costa County sitting serenely on the Delta is Pittsburg. 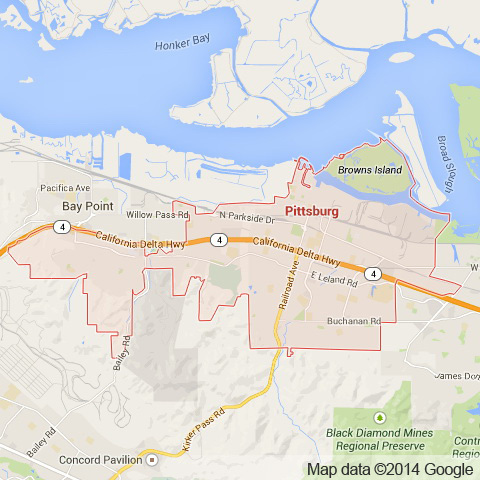 Pittsburg is a port city that is both the entryway to the Delta waterway and the end of the BART line. With many redevelopment projects under its belt in recent years, Railroad Avenue in downtown now a place to be. With memorable and incredible restaurants like The New Mecca Cafe and a number of bars, nightlife on this stretch that is only a stones throw away from the water boasts a small port town charm with delicious cuisine and a number of different kinds of entertainment. For Golf lovers, Pittsburg is also home to the Pittsburg Delta View Golf Course – an 18 hole course that is definitely worth a day trip to. For these reasons and more Apex Limousine Transportation is proud to be Pittsburg’s number one luxury limousine transportation provider. We offer a number of different limo services for almost any occasion. One of our specialties are comprehensive wedding services. Our fleet of SUVs, sedans and limousines are the perfect transportation accommodations no matter the size or scope of your wedding day. We work directly with the couple, family or who ever else is planning the special day to ensure that our limo services adequately compliment your very special day. We also specialize in offering residents of Pittsburg Napa Valley Winery Tours. We start the day by picking you and your party up at a location of your choosing in one of our incredible, luxurious and spacious vehicles. From there we go on a day long customized tour of the Napa Valley, stopping by restaurants and wineries at your discretion making sure to visit the vineyards and estates that you want to visit. Our professional and knowledgeable limo drivers are always able to help customize an adventure in the Napa Valley you will never forget. With so many locations to choose from deciding can be overwhelming, but when working with Apex Limousines we can help you discover the side of Napa Valley that best fits you and your tastes. For those residents who need to be picked up or dropped off at one of the Bay Area’s major airports we also offer limousine, sedan and SUV services to and from OAK, SFO and SJC. Our reliable and prompt limo drivers guarantee to never leave you waiting or late for a flight. We of course offer a number of other services including but not limited to: junior prom/senior ball, sporting events (Raiders, 49ers, Warriors, A’s, SF Giants), concert transportation, or even just a night out on the town exploring San Francisco or Oakland. We know how difficult it can be to coordinate driving when all you want to do is go out and have a good time. For this reason and more we are very proud to be Pittsburg’s go to provider in limousine transportation. We take our job seriously – seriously enough to guarantee that when you are riding with Apex it isn’t just about getting from point A to point B, it’s about having an incredible experience you will never forget. Join us today and together we can plan your adventure – what are you waiting for? Please call us for car service all inclusive total for Pittsburg to/from Napa Valley transfer.